The University experience for many of our students will be one to remember and one that shapes their future. Whilst we are thankful that many of our students enjoy and thrive during their university years, we also know that for some this is a difficult time. Starting a new course, in a new place, with new people, and often in a new home is a massive transition and requires students to be resilient and proactive in how they manage it. This is all coupled with taking responsibility for themselves, their academic work and their future career. 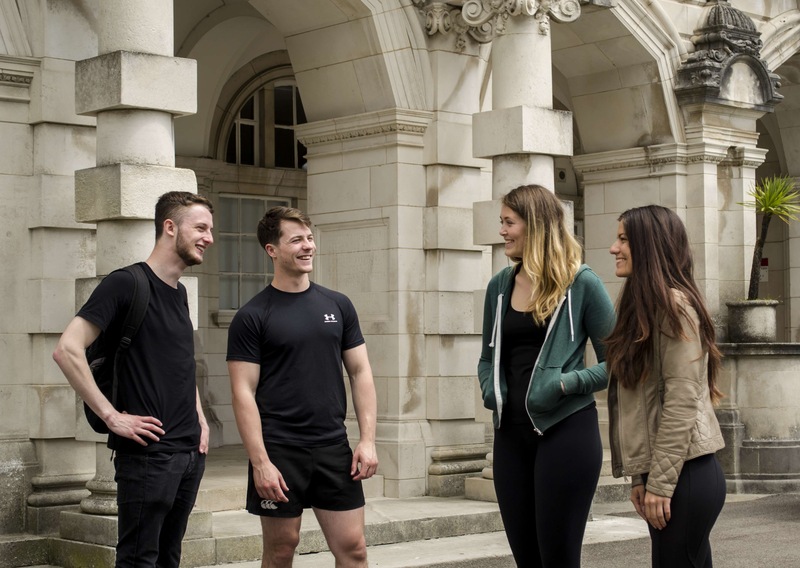 Whether you are new to Cardiff or in your final year of study, one thing that ALL students will have in common is their wellbeing. The Oxford Dictionary defines wellbeing as ‘the state of being comfortable, happy or healthy’. Anyone can benefit from looking after their wellbeing. Even someone who feels they have a good sense of wellbeing can keep topping it up! Mental wellbeing is more than just ‘feeling happy’ – it involves both the mind and the body. Happiness is a part of this, but in a wider sense it means that ‘deeper’ kind of wellbeing you feel when you’re living in a way that’s good for you and for those around you. We hope to give you a few ideas on how to boost your wellbeing and where to get support if you are finding university life challenging. We can appreciate there will always be some weeks where your routine is slightly different. However, we would recommend trying to settle in to a routine that gives you balance! Not too much sleep but not too little, not eating too much or too little but eating regularly, not over-working yourself but not being completely inactive, not partying too hard but allowing yourself time to have some fun! SLEEP: 8 hours a night is ideally what most people should aim for. Try to avoid napping during the day and reduce your caffeine intake, particularly up to 4 hours before bedtime, so that you can get a full night’s sleep. DIET: Three square meals a day and regular snacking keeps your blood sugars stable and helps you manage your mood…. the healthier the food the better! Treats are fine but try to moderate them. EXERCISE: 30 minutes, 3-5 times a week is the guideline. Not a gym lover? Try to get active in other ways- a walk to the museum or round Bute Park? Bike it to lectures rather than catching the bus. ALCOHOL/DRUGS: We understand this doesn’t apply to everyone. Equally for some, going out and enjoying a few drinks (or drugs) socially is something they enjoy. In terms of keeping a good routine, late nights and excessive drinking is not always the most helpful. If you would like some specific guidance on this, you can read our blogs on drug awareness and drink awareness. ACTIVITY: It might not seem important to some but how you fill your week can have a massive influence on your mood. Doing too much academic work can drag you down… doing too little can increase your stress levels. Having things to look forward to and a balance of things you enjoy and things that give you a sense of achievement is key. Maybe keep a track of your week and see if your balance is ok? Take responsibility. You are responsible for your own life and everything in it, and that includes your own happiness. Don’t blame your childhood, your parents, your relationships, society, life events, or anything else. Be flexible in your thinking. Beware of ‘all or nothing’, ‘black and white’, rigid thinking, with an overabundance or words like ‘should’, ‘must’, ‘ought’ and ‘can’t’. Loosen up your thinking, look at alternative views and avoid perfectionism. Don’t strive too hard to be the person you ‘ought to be’. Confront difficulties rather than avoiding them. Treat problems as challenges to be overcome. This is useful in helping you build up tolerance and experience. Expect change and challenges, and realise that life will be unfair at times. Give to others. This doesn’t have to be a big thing – even the smallest acts count, so smile at a stranger or pay a friend a compliment. If you want to try a larger act consider volunteering, which improves your wellbeing and helps you build new social networks too. Look after your own needs. Be assertive in identifying and meeting your own needs, whether it be for food, exercise, relaxation, pleasure, laughter, work or love. Everyone needs good self-care skills. Be active. Mental and physical wellbeing are closely linked, so don’t forget to look after your body. You don’t have to go to the gym every day – take a walk, go for a bike ride, or find a team sport to play with your friends. Find an activity you enjoy and make it an important part of your life. Keep learning. Gaining new skills or knowledge can give you a sense of achievement and make you feel more confident. Take a course, pick up an instrument, learn a language…the possibilities are limitless. Express yourself. Express both positive feelings (like happiness, love, joy and excitement) and negative ones (like anger, sadness and disappointment). Always be willing to talk and try not to ‘bottle things up’ or avoid issues. Strive for balance. Take control of your life by making active choices and decisions about how to spend your time. Fill your life with both work and play, spend time both alone and with others, and keep both mentally and physically active. Develop and maintain relationships. Value and nurture your friendships. Develop a network of supportive individuals to act as an insulator against stress. Accept others for how they are and don’t try to change them. Be mindful. Be more aware of the present moment and pay attention to your feelings, thoughts, body, and the world around you. This awareness is known as mindfulness, and while it can be difficult to pick up in the beginning it’s worth persevering as it can totally change the way you approach life. Why not try the Mindfulness Group provided by the Counselling, Health and Wellbeing Service. Please use our contact links below for more information. Fantastic article, something universities should be considering about their staff and students.